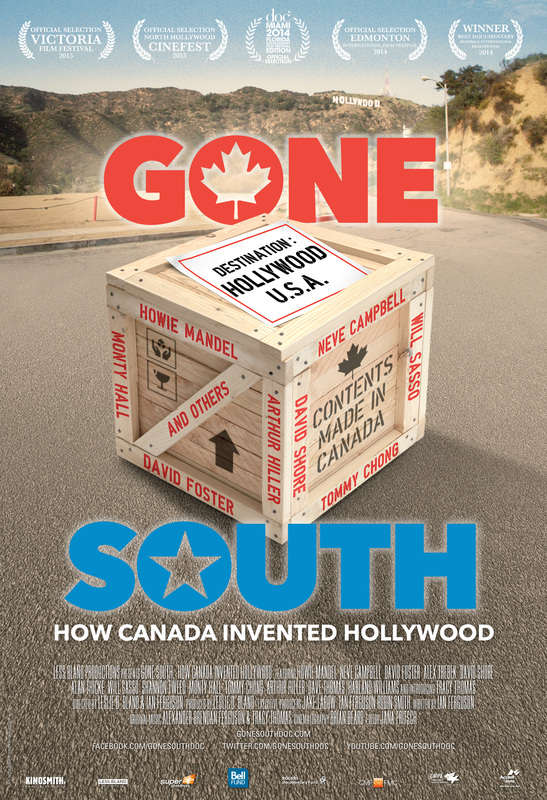 The feature length documentary Gone South: How Canada Invented Hollywood is a hilarious and investigative look at the long history and major influence Canadians have had on the development of American pop culture. It features exclusive celebrity interviews and classic archival images from the very beginnings of Hollywood right through to the present day. Gone South presents an historical overview of the influence of Canadians in Hollywood – for example, three of the first four Oscar winners for best actress were Canadian, and so was Louis B. Mayer, who founded MGM studios; also Mack Sennett, who discovered Charlie Chaplin, created the Keystone Cops, and essentially invented comedy on film – as well as thematically linked interviews with current Canadians working in Hollywood. The whole point of the documentary is to present the argument that without the slow and subversive influence of Canada, Hollywood as it is known would not and could not exist. Celebrities appearing in the film include Howie Mandel, David Foster, Alex Trebek, Alan Thicke, Shannon Tweed, Dave Thomas, Tommy Chong, Will Sasso, Neve Campbell, Harland Williams, Monty Hall, Arthur Hiller, David Shore, Ted Kotcheff, The Tenors, Calum Worthy, and Erin Karpluk.